MOSCOW (Reuters) – Russia on Friday condemned British plans to open military bases in south-east Asia and the Caribbean and said it stood ready to take retaliatory measures if its own interests or those of its allies were threatened. 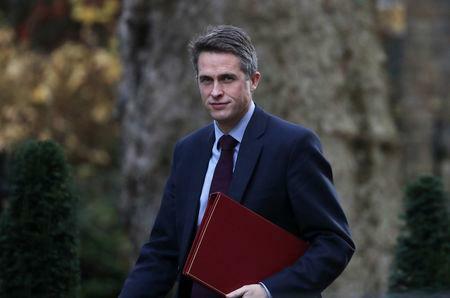 British defense minister Gavin Williamson told the Sunday Telegraph newspaper last month that London was working on plans to build two new foreign bases “within the next couple of years” after it left the European Union. Maria Zakharova, a spokeswoman for Russia’s foreign ministry, on Friday described Williamson’s comments as baffling and warned such plans could destabilize world affairs. “Of course, Britain like any other country is independent when it comes to its military construction plans. But against the backdrop of overall rising military and political tensions in the world … statements about the desire to build up its military presence in third countries are counter-productive, destabilizing and possibly of a provocational nature,” she said.